F18 brads for picture frame backing (Easel-back framing). 5,000/ box. 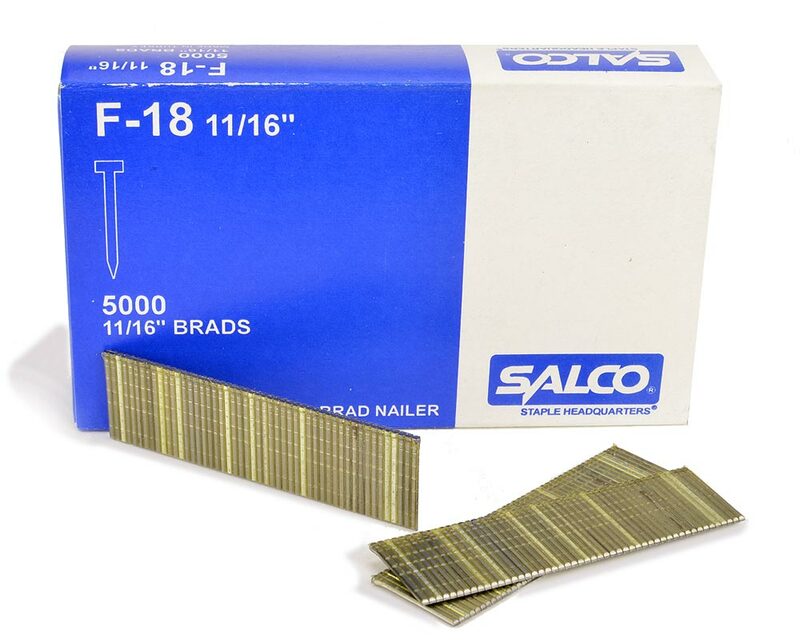 Fit Picture brad nailers: Salco F18 hand, RO-MA FP18, Salco F-18 PN. Q-ty discount apply if buy 20 or more. F18 brads, Galv. 5,000/box. Used in F18 brad nailer. Salco brand.